So you're looking to meet new Brussels friends over a shared interest. Here are 12 of our favourite Meetup groups offering regular activities to help you explore the city. With more than 8,000 members, this group encourages expats and Belgians alike of all ages to come along on different journeys around the city, across Belgium or to neighbouring countires. From inviting speakers from all over the world to talk to the group, offering Red Cross First Aid training, to taking day trips to Amsterdam, this group checks all the boxes. Many weekend trips at the moment centre around winter sports, but there are also many different events that attract all participants. Come out and explore in and around Brussels on the first Sunday of each month. But if you're a night owl, don't worry, it's not an early start. Hikes start around 11.00 and they usually walk 20 to 25km at a comfortable pace, so you and your friends can still catch up while enjoying the scenery. After working up a sweat with a full day of walking, the group grabs a beer at the end to congratulate themselves on another Sunday of exploring (pictured above). "To participate you will need at least two legs, a pair of running shoes, and you should be able to jog a few kilometers without needing medical assistance." This social running club encourages all beginners and experienced runners to get outdoors. Runs usually vary between five and 10km at a pace everyone is comfortable with. More experienced runners can group up to go at a faster pace to train for up-coming races. They usually meet in Woluwe Park, Bois de la Cambre or the Cinquantenaire Park. Though the weather may be cold this time of year, the group is not afraid to brace the chilly temperatures. If the motivation to get active isn’t enough for you, maybe the coffee they usually get after their Saturday run in the Sonian Forest will help you get out there and run. 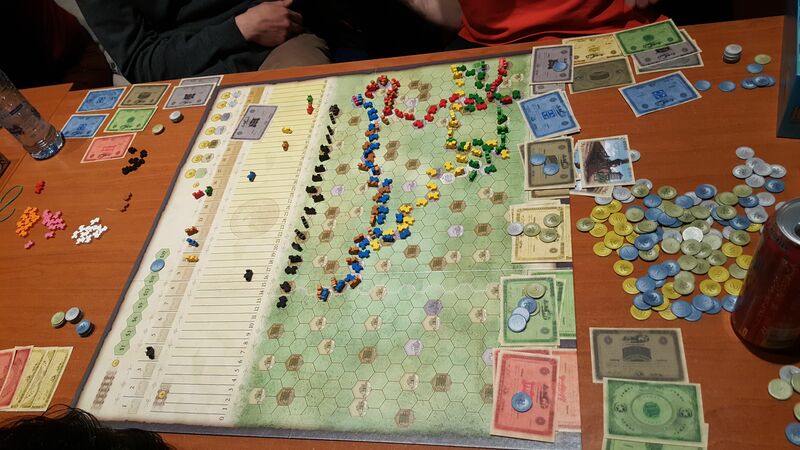 Love boardgames, but can't find like-minded friends who share your enthusiasm? Then this group is the perfect meet-up for you. The Boardgame Monkeys play many different boardgames and card games and if you aren’t familiar with the games they play, they explain the rules of each game at the beginning of the night. The group has monthly Join and Play sessions, but if that is not enough, players are also encouraged to attend more frequent meet-ups almost every other day. This group has some rules, though. If you RSVP, it is crucial to attend. They need to know the exact number of players to map out the night and the different games played, so don’t be late. From attending concerts in Amsterdam on the weekend, to meeting for cocktails on a weekday night after work downtown, the group sets frequent meet-ups to accommodate all members. People new to Brussels - and those who've been here a while - are all encouraged to come out and have a drink while meeting new people. With over 4,000 members, mingling and making new friends will be a breeze. While getting on with your own career, it can be hard to meet other like-minded professionals. 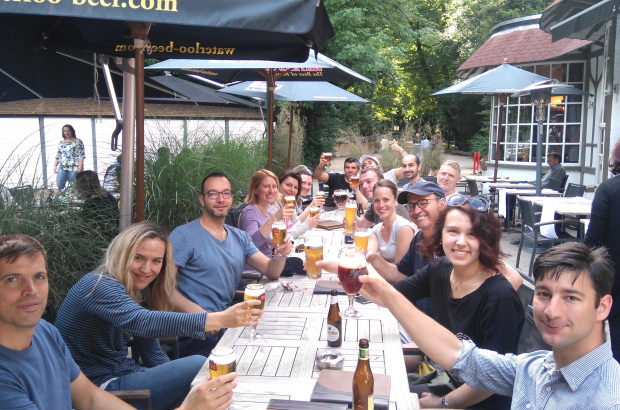 This meet-up offers a space for single Belgian professionals to come and socialise with one another while establishing networks and friendships. The group meets in pubs and bars a few weekends a month. The group tries to keep the meet-ups small enough to remember the names of others to ensure meaningful connections are made each night. This group for film junkies meets whenever a member wants to see a movie, which is all the time. Unlike many other groups, the members are able to host their own event when there is a movie in a local cinema they are interested in seeing. With more than 2,000 members, you are guaranteed a movie-going buddy. After the film, members are encouraged to go have a drink and discuss their after-thoughts of what they just watched. Anything from “the good, the bad, and the indie” is welcomed in this club. If interested, also check out their Facebook page. Experiencing writer's block? Do you love to write, but can’t seem to find anyone to give you educated feedback, or can never find the time to sit down and write? Then this meet-up is perfect for you. 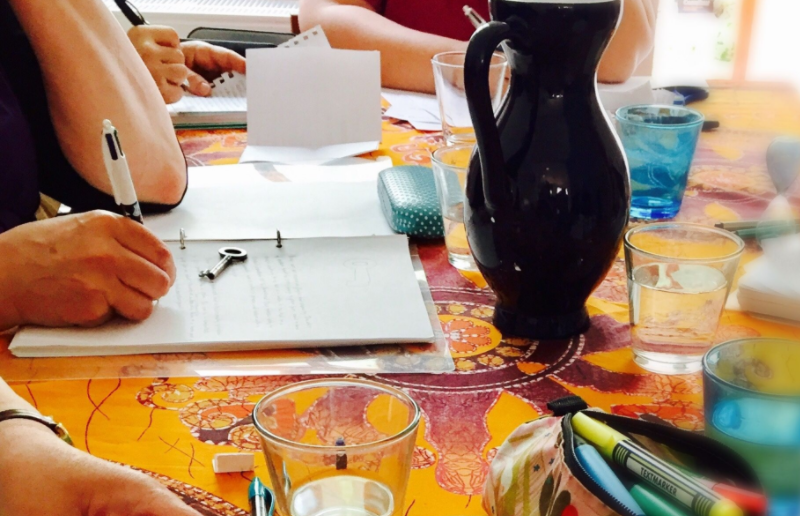 This group of creative minds gets together to write, discuss their work and help each other think through writer’s block every Sunday. In order to accommodate everyone, they have both a morning and an afternoon session. This group does have a slight fee, though. The meet-up asks each member to pay €5 every half year to help off-set the cost of paid events. If you want to check out the group, they allow newbies to come twice before the fee begins. This meet-up group is for all art lovers, regardless of age or background. In groups of maximum 15 people, members go around and visit art museums, offer guided tours and hold interactive courses. The group offers many different days and times to accommodate all members. This group organises social music events once a month for musicians, singers and bands to show off their artistic talents. It is generally the third Thursday of every month and each performer has about 10 minutes on stage. The event is free, but the group encourages performers to pay €10, and bands of three people or more to pay €20. There are only 20 slots every evening, so sign up fast. This beer-loving group offers members a wide variety of events to accommodate all kinds of beer fans. They offer trips to local breweries, historic bars and even hold beer-making classes. They usually hold events on the second Tuesday of each month, but also offer other days and times. Want to try out new food, learn a language in a group, write a screenplay or paint a mural? Set up your own Meetup group and let us know in the comments below. We just started the firt “run crew” in Brussels. We run every two weeks on thursday, starting from a bar in Brussels. We run 10k and discover a neighborhood. Find us at www.facebook.com/runcrewbrussels. Everybody welcome! A run crew is not only about running, it is about community. A social thing. Please join! Any meet up groups based in Leuven?